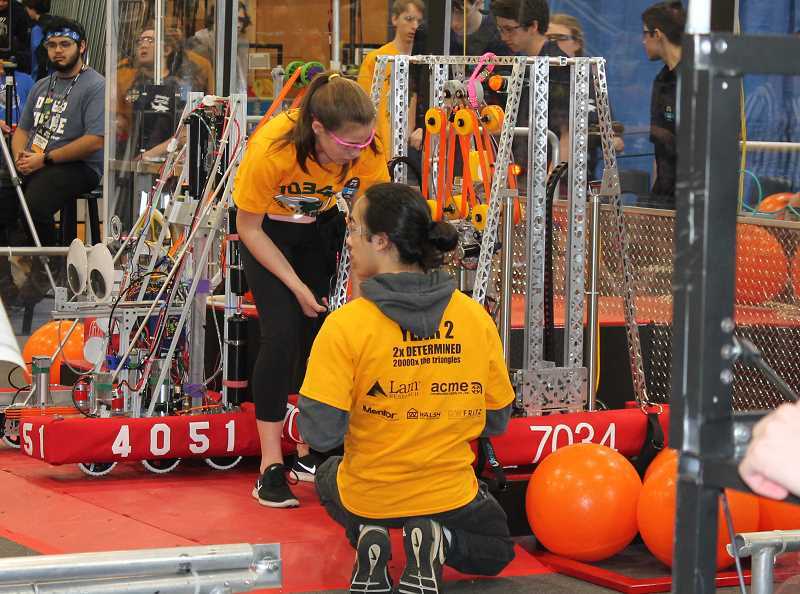 West Linn High School Robotics Team 7034 2B Determined was among the 39 high school robotics teams from Oregon, Washington and Alaska that put their robots to the test in the FIRST Robotics PNW district qualifying event at Wilsonville High School March 8-9. 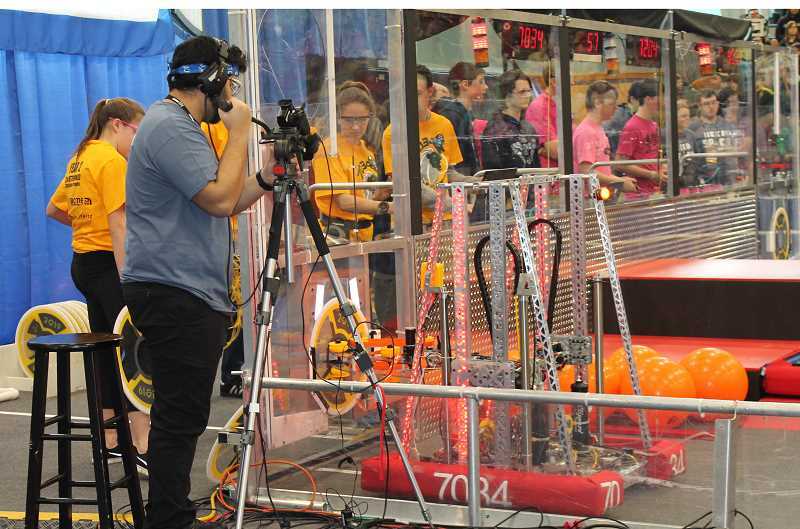 Team 7034 2B Determined took ninth place in the tournament, finishing with seven wins and five losses in qualifying matches and two losses in the playoff rounds. 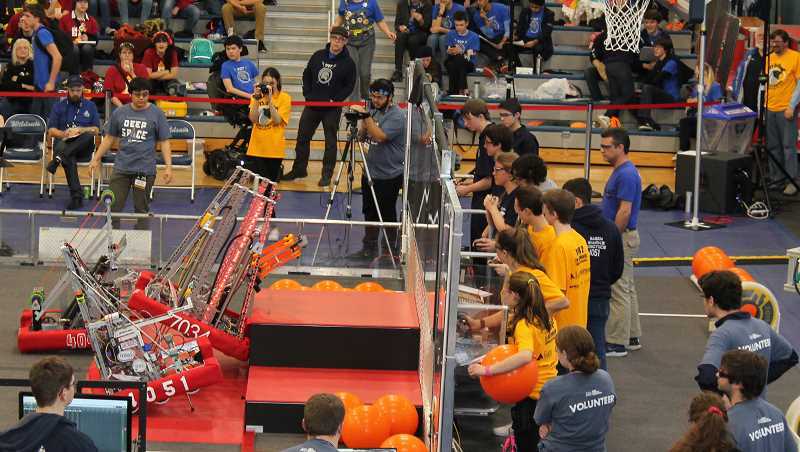 This weekend's performance moved them into 12th place overall in the Pacific Northwest District Qualification rankings.